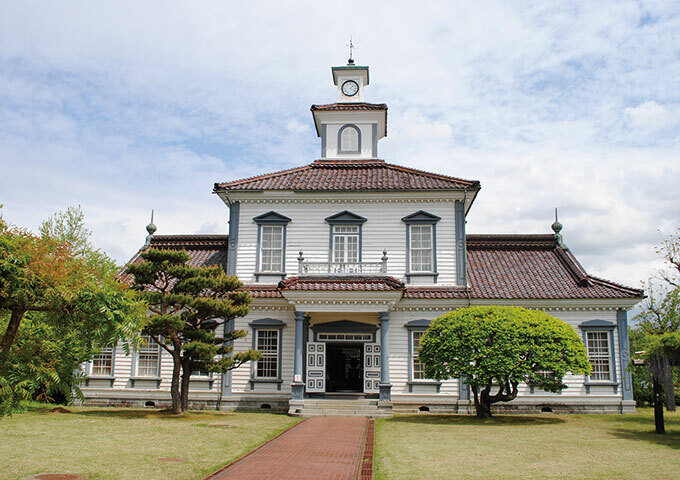 The Former Nishitagawa-gun Government Office was built in 1881 under orders by Mishima Michitusne, the first Kenrei (prefectural governor) of Yamagata Prefecture. 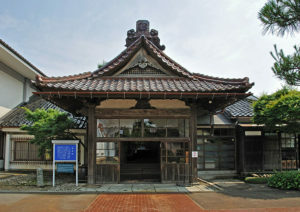 The master carpenters were Ishi Takejiro, and Takahashi Kanekichi from Tsuruoka who had studied western architecture. 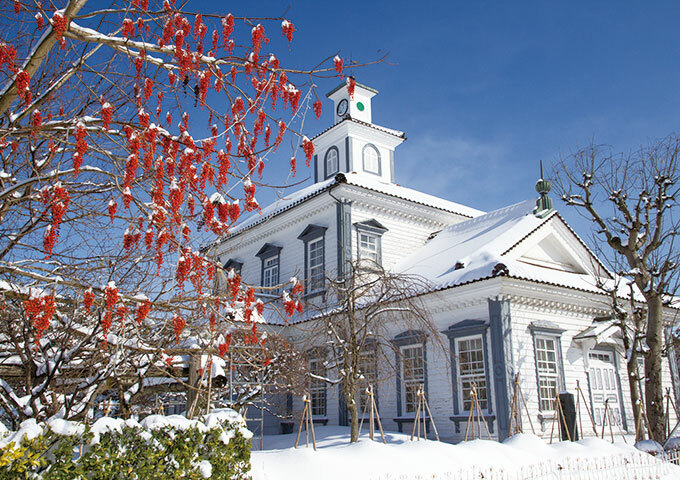 Kanekichi was a prominent carpenter in the Shonai region, having worked on multiple Giyofu buildings (western-style designs that use traditional Japanese techniques for the basic structure) besides the Former Nishitagawa-gun Government Office. 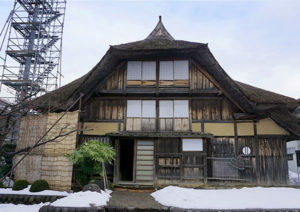 The balcony that sticks out from above the entrance and the 20m-high penthouse and clock are typical of the Giyofu style, and the pillars for the porch and suspended staircase are reminiscent of renaissance architecture. The building was used for issuing loans for mulberry trees, quality control of the silkworm cocoons, and general instruction on silkworm farming.